At SPTargets we believe in focusing on what we do best. We design turning target systems, we manufacture turning target systems, and we install turning target systems. We partner with several other companies and leverage their expertise and cost-efficiencies to bring a high-quality, competitively-priced product to our customers. We'd like to introduce a few of our partners. 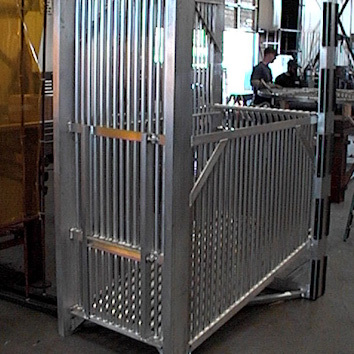 Northwest Technologies specializes in high-quality, close tolerance custom steel/sheet metal fabrication and manufacturing. NWT provides fabrication engineering, laser cutting, forming, machining, and manufacturing capabilities, in a 55,000 sq. ft. facility located in Estacada, Oregon. NWT provides manufacturing solutions to a wide range of industries including the food processing, agriculture, construction, environmental aerospace, technology, transportation, military and governmental agencies, and for diverse original equipment manufacturers (OEM). IRP LLC is an independent custom machined parts manufacturer in Scappoose, OR. 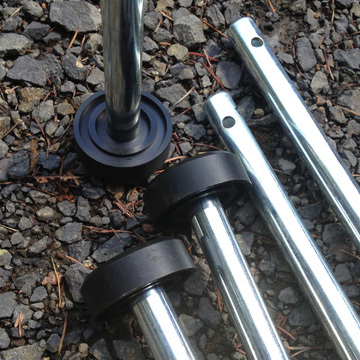 IRP LLC makes precision-machined pivot shafts (later electroplated), nylon pivot shaft caps, nylon pins, air hose fittings, and solid aluminum cylinder yokes for SP target systems. State-of-the-art CNC milling machines use CAD files drafted by SPTargets to produce parts accurate to 1/10,000 of an inch. Denco Design stocks, designs, builds, and tests cables and other hardware used for a wide variety of sophisticated applications. Denco Designs builds and tests the custom cables that distinguish SPTargets' Single Cable technology. All cables arrive at SPTargets built to the highest quality standards, and tested with state-of-the-art equipment to ensure reliability on your range. Designers, manufacturers, and installers of wireless turning target systems, running man target systems, range in a box portable turning target systems and other firearms training systems to law enforcement, military, and private clients.